Full bodied and powerfull beer with strong reference to a Pedro Ximénez type of sherry. Aged on sherry barrel for one year. 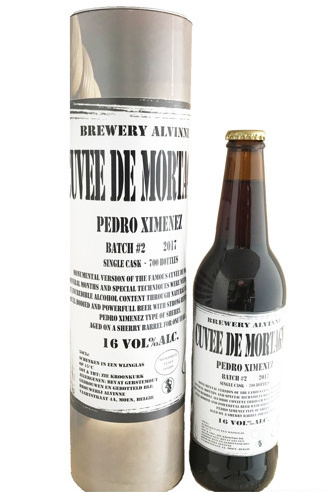 Alvinne Cuvée de Mortagne Pedro Ximénez Batch #2 Monumental version of the famous Cuvée de Mortagne. Several months and special techniques were needed to reach the incredible alcohol content through natural fermentation. 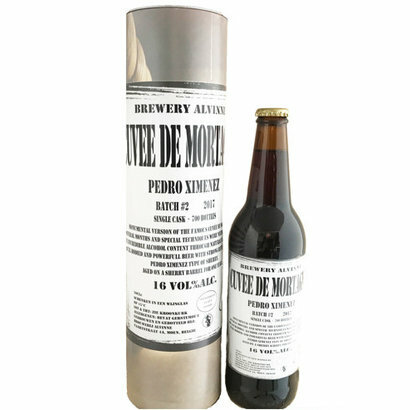 Full bodied and powerfull beer with strong reference to a Pedro Ximénez type of sherry. Aged on sherry barrel for one year. BATCH #2 - 2017 SINGLE CASK - 700 BOTTLES.